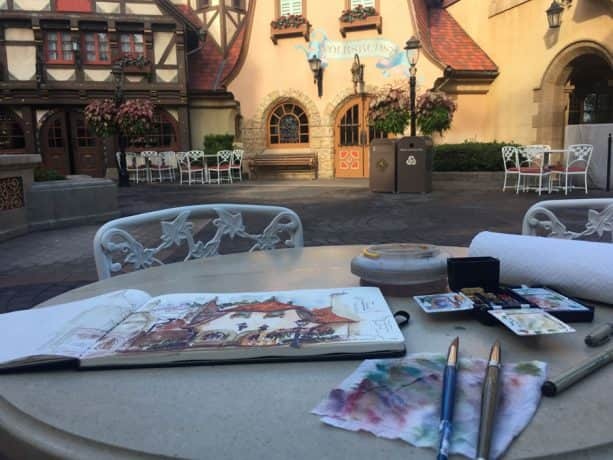 From time to time I will be sketching from the field or Plein Air as it’s called in the art world, from a new, inspiring location in our Disney Parks. I will share my sketches and experiences here on the blog each time. Today, I continue my Sketches from the park series as I started off early with a beautiful morning in Epcot at the Germany pavilion. As I walked in and around World Showcase, I noticed Spaceship Earth starting to light up in the distance as the sun came up and seemed to highlight the sphere quite nicely, almost welcoming me to the park. I walked around the lagoon and decided on Germany. The nice variety of colors and architecture has always caught my eye and just seemed to call me in. The Germany pavilion can be really fun (and challenging) to sketch with all its’ amazing details. You could literally turn around 360 degrees and have something great to sketch at every angle here. I sat down my bag of art supplies at a table in the courtyard and begun to figure out what I wanted to focus on for my latest sketch. The Volkskunst clock cottage was starting to light up slightly with the sun peeking over the rooftops behind me, so I started my sketch there. I took out my sepia ink pen and started drawing lines in my watercolor sketchbook. It was just me (and a few bird friends) on this quiet morning in the courtyard, not even the German background music had begun to play yet. After getting to a point I was happy with in my line work sketch, I took out my small travel watercolor kit to start to bring the sketch to life a little more. I added watercolor around the Volkskunst cottage and let the rest of the drawing just fall off with less color and detail to help the cottage stand out in the drawing. 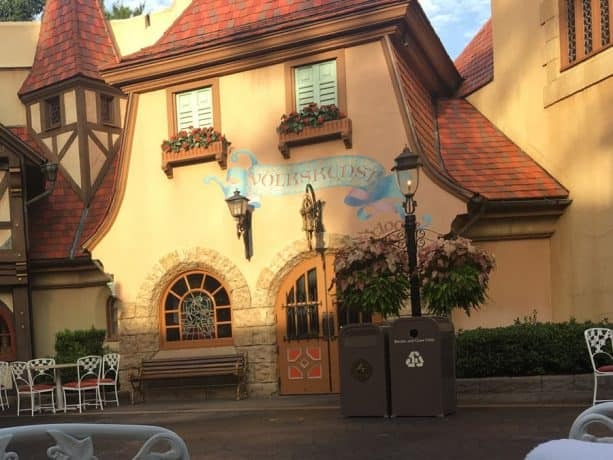 About an hour after sitting down in the Germany pavilion, I had completed my latest watercolor sketch and the German music had begun to play. Each time I learn a little more and improve as an artist, it’s an important part of the process, and I love the feeling of being out there sketching Plein Air in the parks. I hope you enjoy the art and keep your eye on the Disney Parks Blog for my next sketch from a new location next time in our Sketches from the Park series. See ya next time! Your talent is inspiring, Will. I am especially fond of this one. Thank you for sharing. 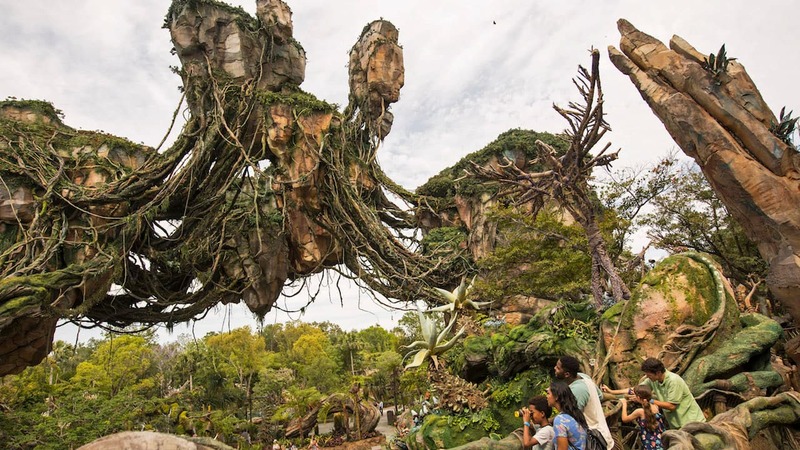 Your artwork is such a refreshing way to view the details of the parks. I would love a active tour to do just what you are doing. Please continue to share your creations. Beautiful! That’s an amazing opportunity to do what you’re doing. 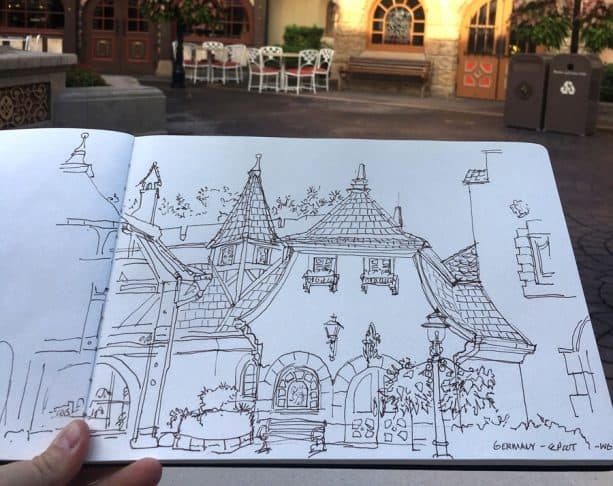 I wish I lived closer and had the time to sketch at Disney. Keep up the good work! Awesome work, Will! Sketching in the parks sounds like an ideal pastime – maybe this is the beginning of an Disney Urban Sketchers group! Love all of your sketches and water colors from World Showcase. So beautiful. I wish prints were offered for sale! !